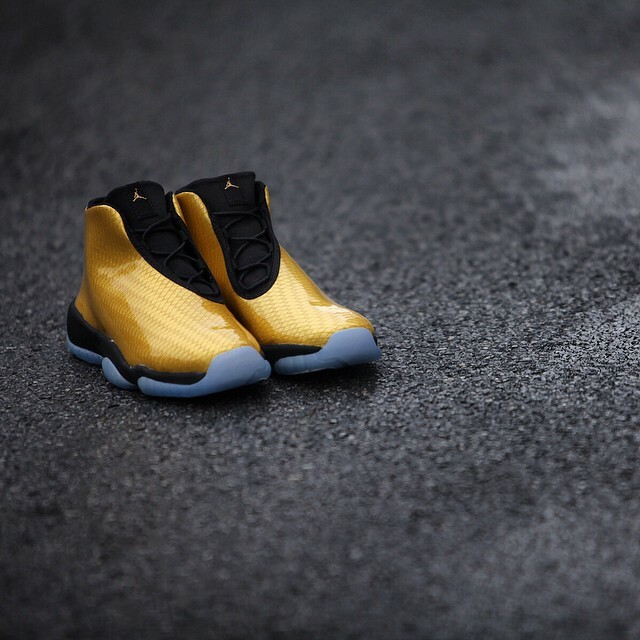 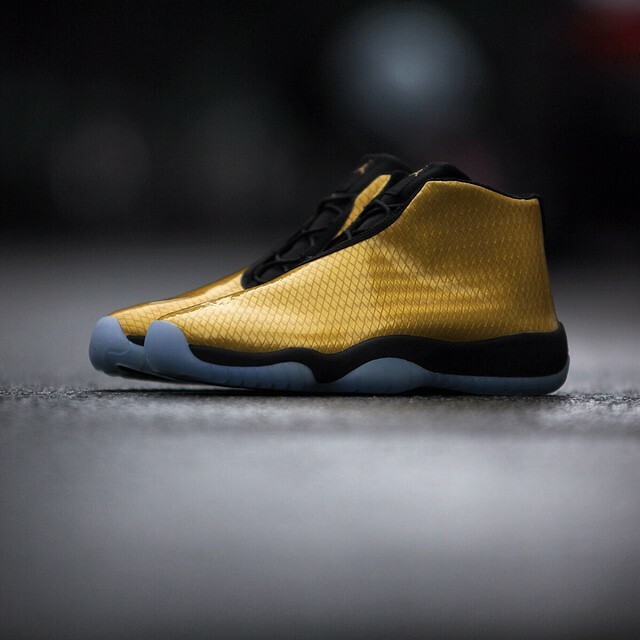 Jordan Future - "Metallic Gold"
The Jordan Future is back in a Black and Gold Metallic look for the Fall Season. 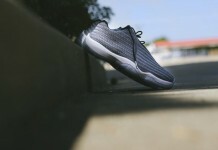 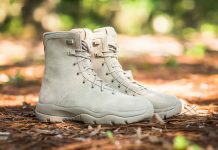 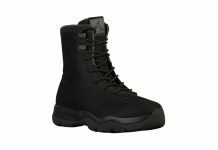 Ever since Jordan Brand debuted the hybrid in the Summer, The Jordan Future has become a great alternative for those looking for comfort instead of the style that retro’s offer. 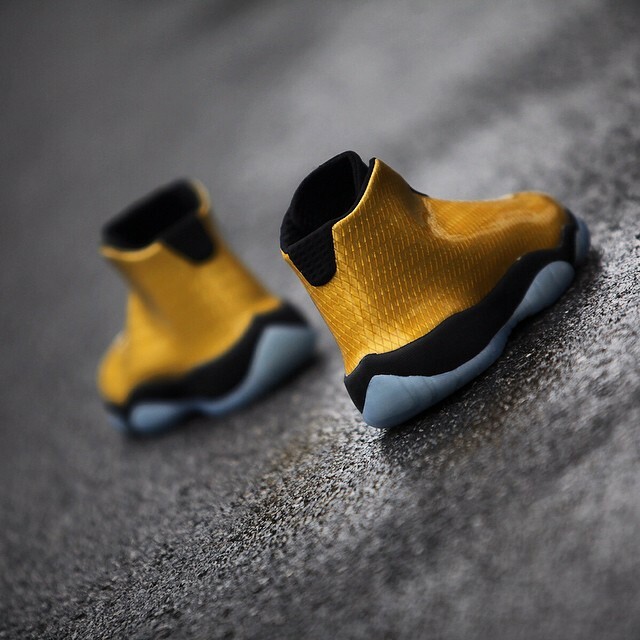 Now, the Jordan Future is about to go into it’s 2nd year closing out 2014 with a bang. 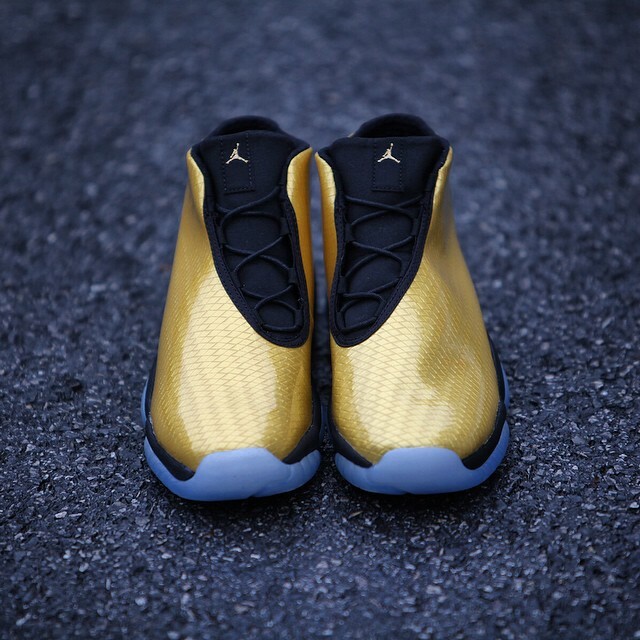 The Air Jordan Future “Black Metallic Gold” drops before the year ends at Jordan Brand retailers near you.